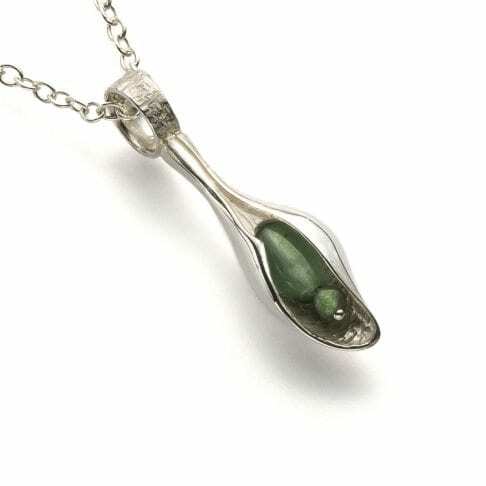 The Small Shell-Form Pendant is handmade from 925 Sterling Silver and Jade. 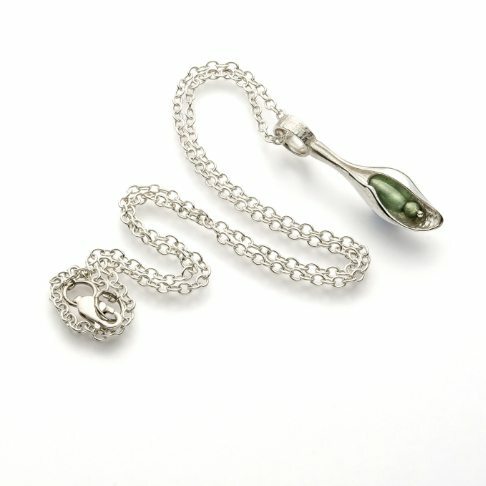 The Small Shell-Form Pendant is handmade from 925 Sterling Silver and Jade includes an 18” trace chain. Laser hallmarked at Sheffield Assay Office with my sponsors mark, metal fineness and date. 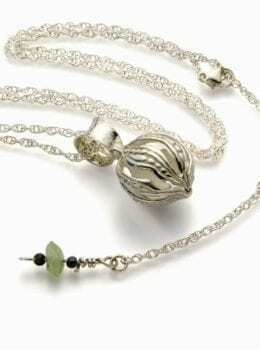 My jewellery is inspired by the stunning landscapes where I live in North Wales. Starting from drawings I use traditional hand fabrication and wax carving skills to make truly unique pieces echoing the natural forms, colours and textures around my studio. 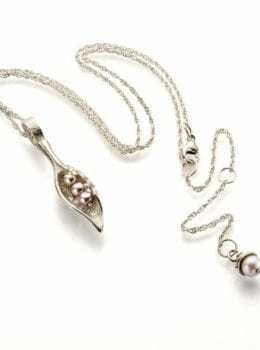 Pod length 36 mm approx. 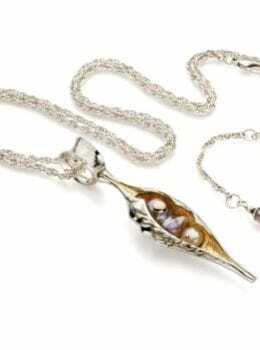 Different chain lengths and other types and colours of gemstones are available please enquire using the contact form. 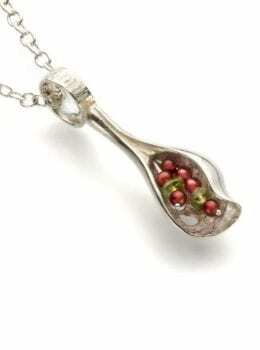 Be the first to review “Small Shell-Form Pendant” Click here to cancel reply.